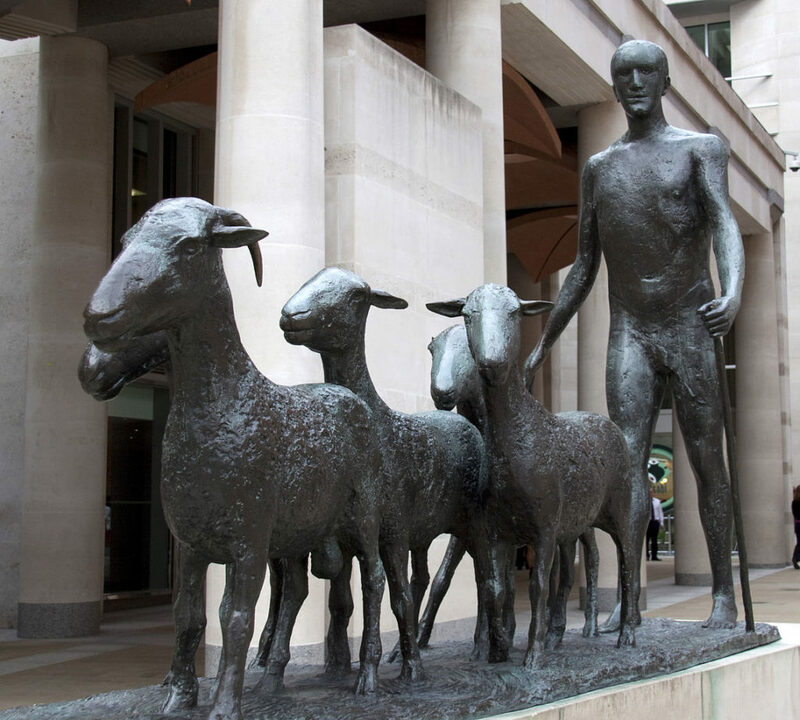 Statues by Elizabeth Frink litter the British landscape. Born in 1930, she was a Dame, a CBE, a Royal Academician and a Companion of Honour. She was lauded throughout her lifetime with hundreds of public commissions. Frink’s work is everywhere: on street corners, in social housing programmes, outside squat new-build churches, in new towns. Any urban shopping development seemed to require a Frink to sit alongside Woolworths and Marks and Spencer. So what exactly IS my problem with Elizabeth Frink? Well, let’s see: she was pampered and privileged. She spent an idyllic childhood with nannies and nursemaids in an upper middle class country home. 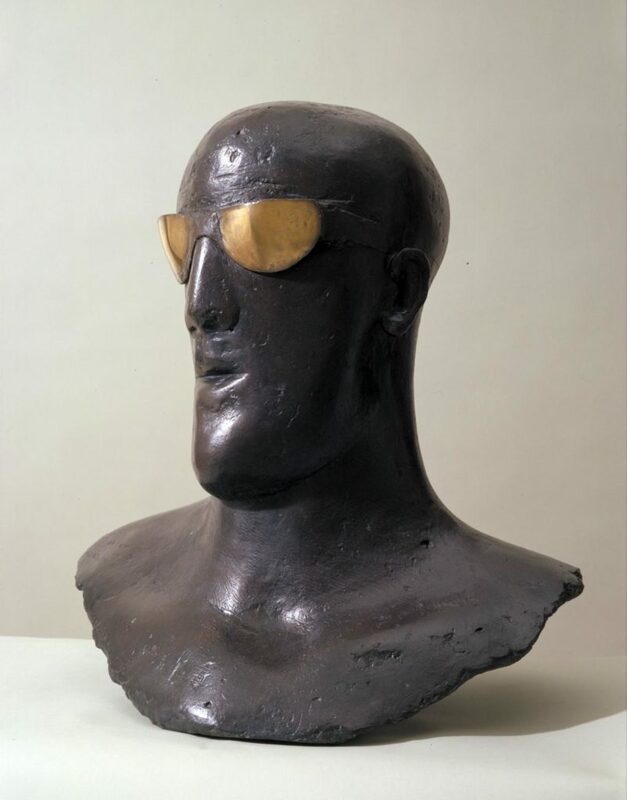 Frink was educated at a convent boarding school with access to a rich collection of lavish resources. 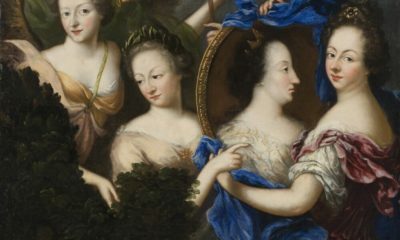 Her family was intimately connected to the old Empire, with all its connotations of oppression and prejudice. But am I so shallow, or so foolish to think that only those starving in garrets deserve the title ‘artist’? Although her work is mostly male figures, they are first and foremost human, archetypal. Frink was a lifelong supporter of Amnesty International and her preoccupation with humanity, and its mix of aggression and vulnerability in post war Europe is something that can speak to us all. Her obsession with exploring ruthless male potency is sadly all too relevant today. 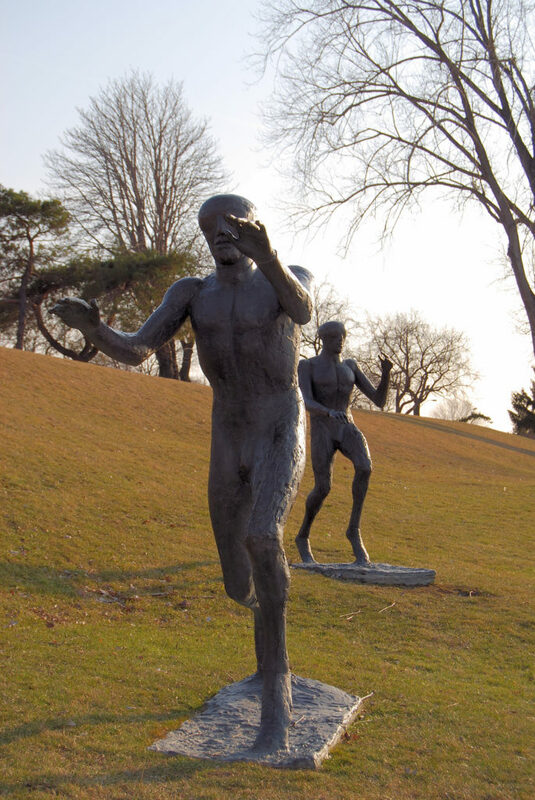 Frink was part of the utopian rebuilding that came out of the second world war. She had seen the devastation of the war, and her sculpture often reflected the cruel thug, the hangman, the inhuman. However, she also portrayed the vulnerable, the beautiful and the shape-shifter. Her sculptures were a symbol of the re-building of structures and communities. Maybe this explains why every new town and sculpture park wanted one! 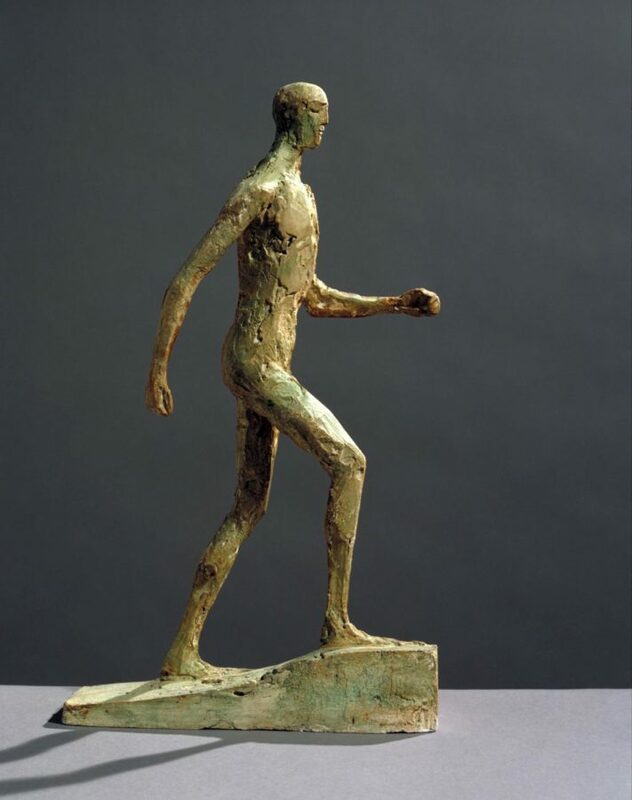 Frink studied each location and obsessed about the importance of light on the sculptural surface. She often worked in concrete, a cheap option in post-war rebuilding developments, but also in bronze. However, some Frith sculptures have suffered in their settings. The ever-changing landscapes of our urban streets are not always sympathetic to their original inhabitants, whether they be human or sculptural. 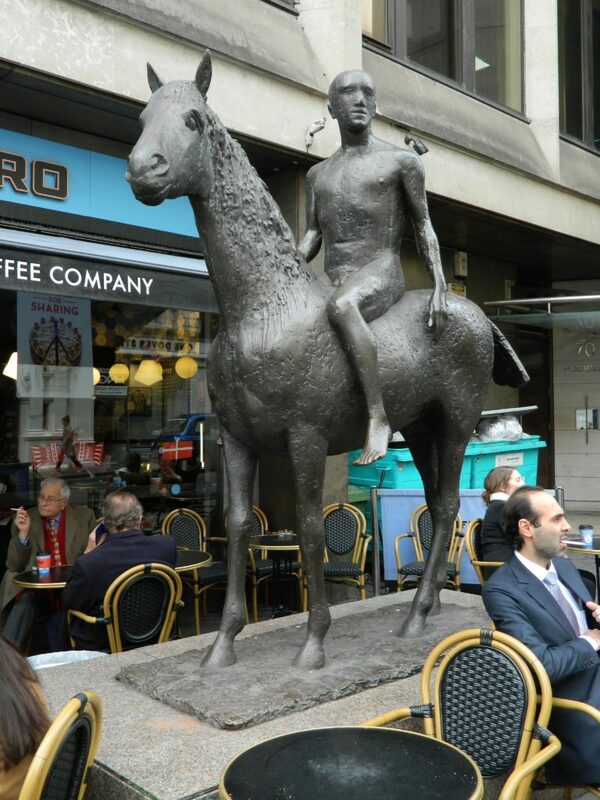 Take a look at this image of the 1974 Horse and Rider sculpture in Dover Street, London. It was described by Frink as an ageless symbol of man and horse, but it seems rather out of time and out of place right now. A vivid blue coffee shop emblazoned with over-sized logos looms in the background, the bewildered naked rider surrounded by the fake plastic ‘Parisienne café’ furniture. His marble plinth is used as a handy shopping bag or umbrella store and cigarette ash mottles the rough bronze beneath the horses’ hooves. Both horse and rider turn their heads slightly to the left, as if turning away from the garish consumerist nightmare beside them. What is your impression? 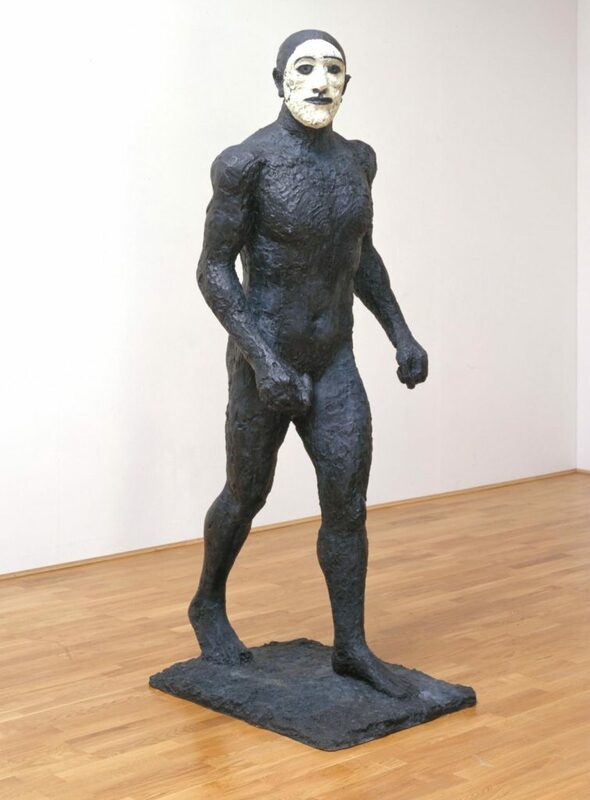 Elisabeth Frink, ‘Horse and Rider’ 1974. Bronze. Dover Street, London. Image: Danielle Harrison. 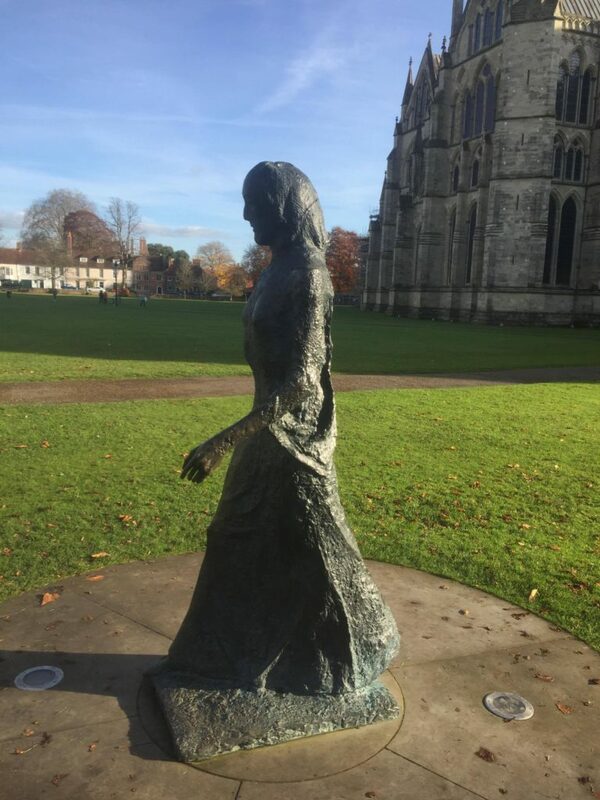 Compare this with Walking Madonna, a 1981 bronze in the grounds of Salisbury Cathedral, Wiltshire. 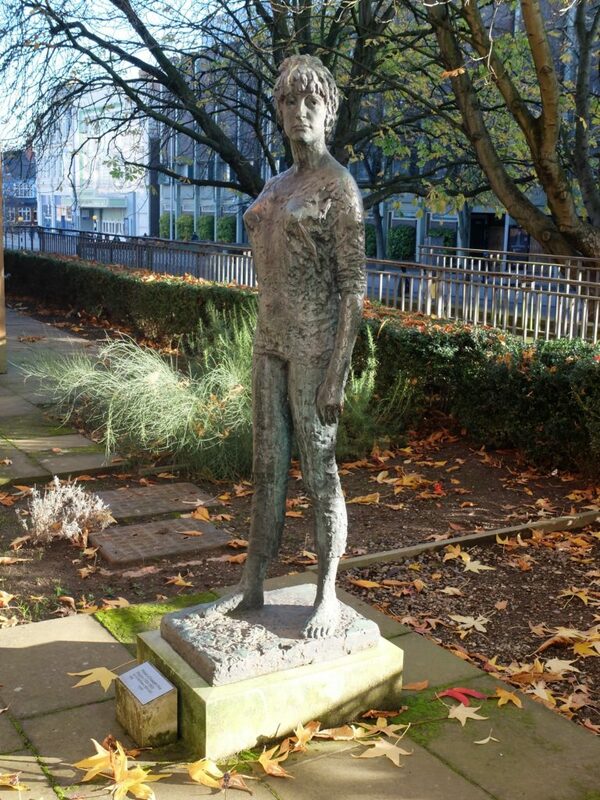 A rare female figure for Frink, this sculpture was surrounded by controversy as the figure is walking ‘away’ from the Cathedral, with her back to the religious structure. For me this is the magic of the work – the woman is striding purposefully away, into the world. Frink didn’t produce many sculptures of women. She said: “I don’t find the female form the slightest bit interesting to sculpt”. Frink said that she had trouble with the drapery on Walking Madonna, but for me the effect of that clumsy gathering of material slightly affecting the stride of the woman is a stroke of genius. 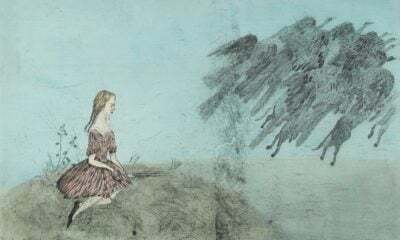 It speaks of the wordly things that hamper a woman’s route out into the wider world, but the figure is still mid-stride, she is heading out, come what may, to join the wider community. A slight figure, surrounded by historic houses and dwarfed by the huge cathedral, she has taut shoulders and pinched lips, but her gaze is tender, dignified. She is plinth-less, she stands on the grass just as we do. She is at eye level for the average visitor, and her left hand is polished from being grasped by countless admirers. This piece is an absolute treat and rests in its setting beautifully. Frink died in 1993. She openly and frankly discussed her cancer and possible death, at a time when many people were afraid to discuss chronic illness and its effect on personal life and work. An honest, responsive sculptor, she surely deserves the title of the ‘grande dame’ of British sculpture. You might be interested also in a story about how Louise Nevelson constructed her sculptures and her past.